The Nuke wheel is a very good wheel. Hub and wheelrubber is made of Urethane, which makes the wheel very strong and durable. The rounded profile of the wheel, makes it good for tricks, quick turns and slalom. This wheel is the standard wheel on for the last 20 years. 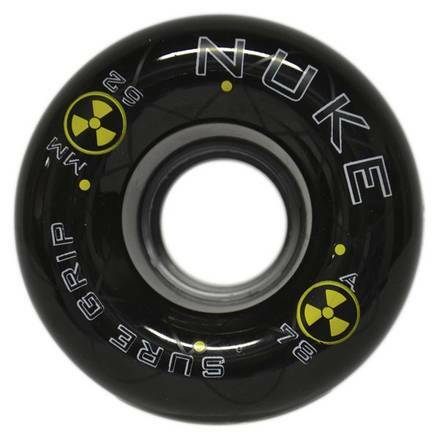 Durometer: 78A, a soft wheel providing good skate comfort.